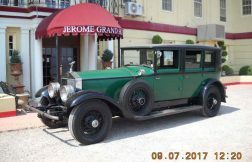 WELCOME TO THE JEROME GRAND HOTEL, BEST HOTEL IN JEROME Jerome’s only full service hotel !! 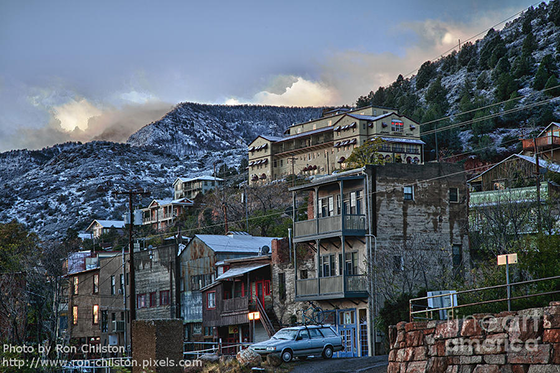 Jerome, Arizona is just 100 miles North of Phoenix and nestled among the shadows of Cleopatra Hill. 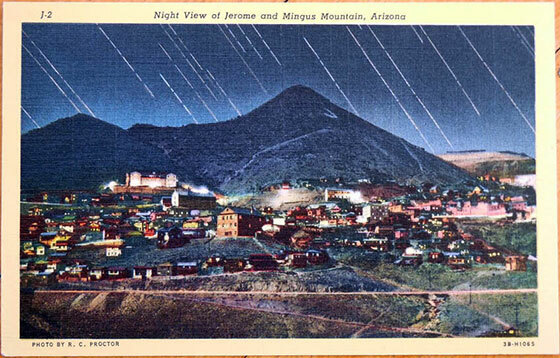 The Jerome Grand Hotel in Arizona is a welcoming beacon to bygone days. 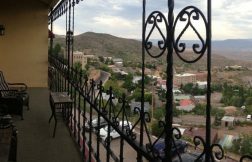 Our Hotel in Arizona is at the top of the Town, overlooking the entire Verde Valley, and features the award-winning Asylum Restaurant, serving lunch and dinner daily. 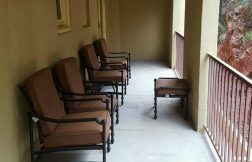 Our Lobby is staffed 24/7 and we offer 4 types of Standard Rooms and 5 types of Specialty Rooms for your selection. 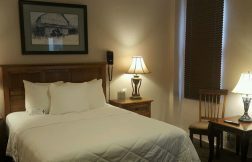 All our accommodations in Arizona have queen beds with Serta Resort Chateau Plush mattresses for your comfort. 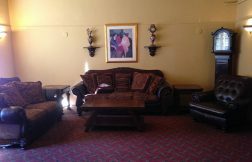 Jerome Grand Hotel is one of the best hotels in Jerome with modern amenities & guest facilities. Book your room now! We offer discounts for Senior, AARP, AAA, 1st Responder and Military. 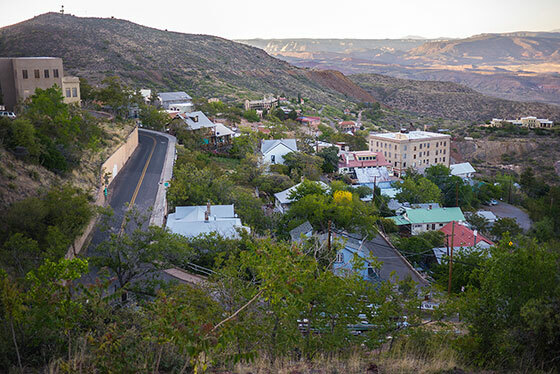 Having received National Historic Landmark status in 1976, Jerome, Arizona offers the visitor a peak into the past, a glimpse into the grandeur of what was once not only a Billion Dollar Copper Camp, but also the ‘Wickedest Town in the West’ with many original structures still precariously looming over the Verde Valley of North-Central Arizona. 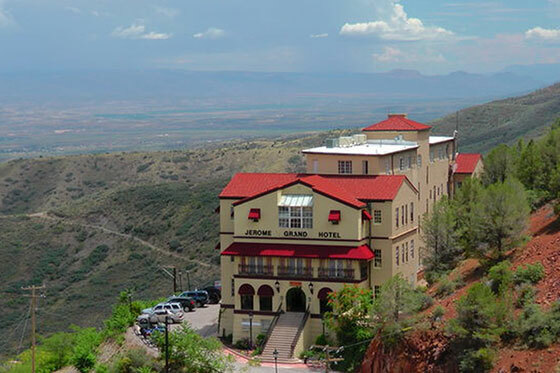 Keeping with design reminiscent of the time, the Jerome Grand Hotel brings back that feeling of grandeur from antique furnishings to the original 1926 Otis elevator offering service to all 5 levels of this historic Spanish Mission Style building that once served Jerome and surrounding communities, as the United Verde Hospital. 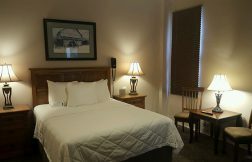 As Jerome’s only full service Hotel, we offer guests onsite dining in the award winning Asylum Restaurant, HD satellite television, Wi-Fi on all levels and a 24 hour Front Desk. While the building is still served by the 1926 Kewanee Boiler to provide steam heat throughout, each accommodation has climate control heating and cooling. Visit once, take back memories forever. 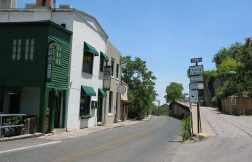 Jerome offers many great restaurants, museums, shops, artist galleries and is close to the scenic Verde Canyon Railroad, Tuzigoot National Monument, the Verde River and so much more. 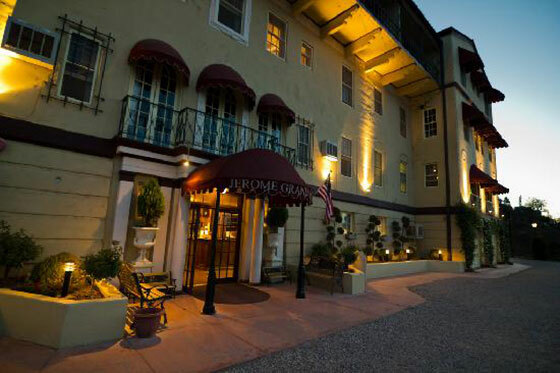 Come and visit the Jerome Grand Hotel, the Grande Dame of both Jerome and the entire Verde Valley. Experience our biggest asset, our employees who enjoy meeting the many guests from all over the world. 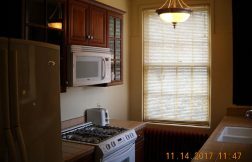 "The was well-appointed and comfortable. 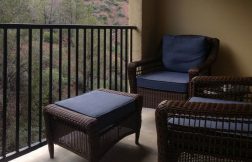 We had a lovely balcony overlooking the hillside. Dinner in the Asylum restaurant at the top of the hotel was one of the best dinners we have ever had, rivaling those anywhere in any major city that we've been in. Definitely would go back again and look forward to it." "Love the authentic "rustic" appeal with original elevator and phone switchboard. The room had plenty of room/space. The balcony had a great view for sunrise. It was one of our favorite hotels! 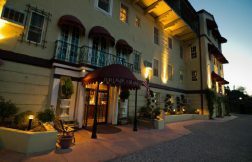 Saw this hotel on Ghost Adventures and it was on my "bucket list." Was well worth the trip!" 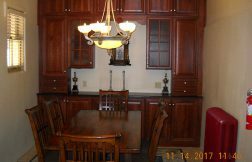 "Just an overall great experience. Friendly check in, nice ride up the ancient but fully functional elavator, few from the 3rd floor balcony off the room priceless. 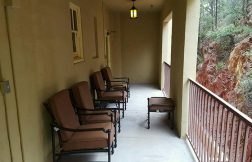 The view towards Sedona is simply fantastic. Things are old but function just fine." 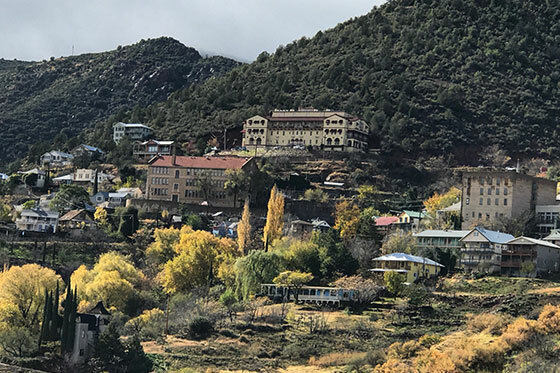 Jerome Grand Hotel 2019. All Rights Reserved. Website Developed by Innsoft, Inc.